You know that you need an active and engaged Board of Directors, but you are not sure how to create one. Imagine how much you could accomplish if every board member contributed his or her best gift and was enthusiastically involved in helping the organization fundraise. If you want this for your organization, you are not alone. There are hundreds of thousands of nonprofits both big and small that have a lackluster Board of Directors. You know the kind. They just show up for meetings and then leave. Or they recruit all of the “warm bodies” in town to become Board members. So what do you do? You can’t just keep asking them to “solicit their lists” - it’s not strategic and it deadens your board members’ spirit and willingness to be involved. 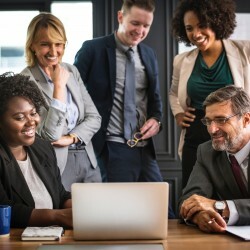 The presenters of this bundle’s webinars are on a mission to create high performing nonprofits from the foundation up, starting with a strong and effective Board of Directors. Brain Saber is the President of Asking Matters. Brian has raised hundreds of millions of dollars over 25 years by personally soliciting thousands of donors and working with the boards of directors of more than 100 organizations, coming to understand the art of the ask in a way that few people do. Brian is currently a consultant to various organizations around the country and presents, trains, and writes on fundraising and the art of the ask. Robin L. Cabral is a Certified Fundraising Executive (CFRE) with over twenty years of experience and millions of dollars raised assisting non-profit organizations as a development professional overseeing all aspects of fund development from annual funds to capital campaigns and donor communications. In 2012, Robin started Development Consulting Solutions “Hire A CFRE!” that provides outsourced fund development consulting services and interim fund development staffing.